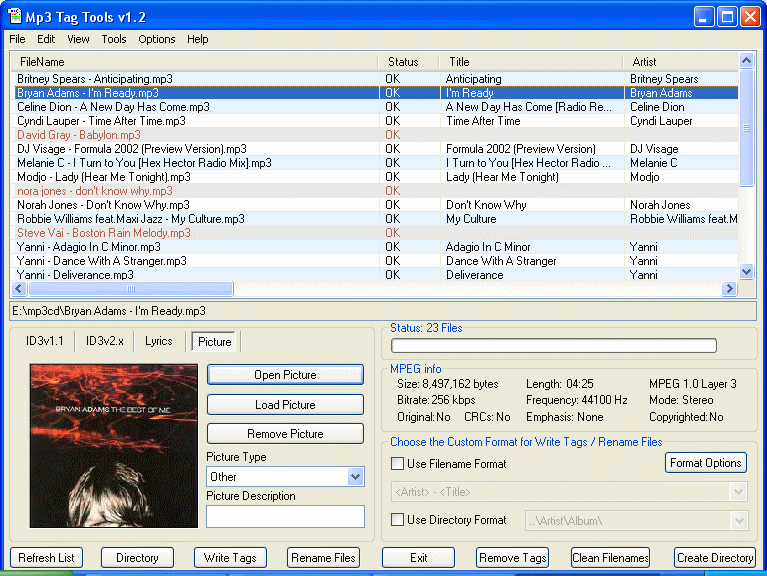 MP3 Tag Tools is a tag editor for MP3 files supporting filename-to-tag conversion and vice versa, filename cleaning and case correction, lyrics and picture tagging etc. All tagging operations can be performed with optional subfolder recursion. Fixed compatibility issue with Windows Vista and 7. Updated source code available that can be compiled with Visual Studio 2013 Community edition. May want to look at that Beta version first. I remember trying it once and went back to released version. Can't remember the details of why I decided to do that. 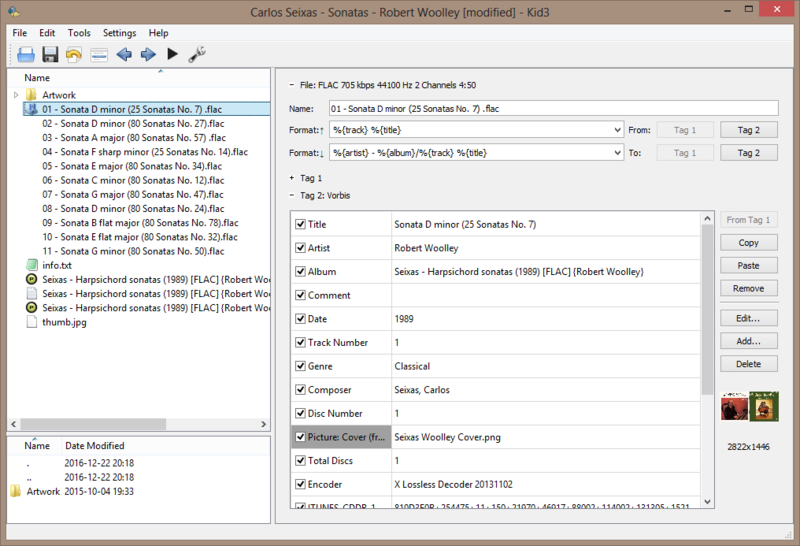 Audio Tagging Tools is a MP3 tag editor that will automatically create title numbers and clean filenames/tags for you. It supports features like filters, filename cleaning, tag generator, tag editor, filename creator, output templates, scripting etc. @Zw0LsDaLe: The maintenance of the database entries of this website is basically a voluntary and disinterested work of the community of users. If you are still not allowed to edit the entries by yourself, you can collaborate pointing out dead or incorrect links, new versions, sites that no more exists, etc.